Culture Counts Core Members meet twice annually. This meeting will look at; how best the sector can engage in parliamentary processes, data visualisation, and how Culture Counts continues to advocate for the sector. Please note this event is for Core Members of Culture Counts. Culture Counts. The Collective Voice of Scotland's Cultural Sector. Parliamentary staff; will explain how the Parliament functions and how best to engage with the processes. Culture Counts staff Jen and Andy present the Annual Plan for 2018-19 and beyond and explain how to engage with Culture Counts. Amanda Huxtable, is a theatre director based in the United Kingdom. She is currently the Artistic Associate at Hull Truck Theatre which is part of the Arts Council England Change Makers programme. Amanda’s core values include the word courage. Amanda specialises in work motivated by social change, historical context and contemporary political themes. 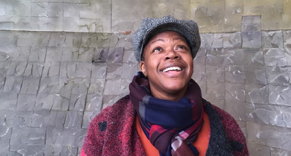 She has written at length about the complex navigation and achievements made from leading and observing as a Black woman of Jamaican heritage making theatre from the UK. Jonathan Stoneman worked for the BBC for 20 years as researcher, producer, reporter, editor and finally Head of Training at World Service. In 2010 Jonathan decided to leave the BBC and become a freelance trainer. Since then he has worked increasingly with data – re-learning MS Excel as a journalistic tool as an introduction to the growing world of data-journalism, and the Open Data movement. Please note this event is for Core Members of Culture Counts. Attendees will represent our Core Member Organisations at CEO or Director level; including those who work in policy. Attendees will have received an invite by email, to confirm your attendance please book your place here. If you haven't received your invite please contact Andy andy.robertson@scottishtheatre.org. Our list of Member Organisations is on our website here.